Readers will have to be highly selective with the 2009 Brunellos. An extremely challenging vintage pushed growers to the limit. The 2009 growing season in Montalcino will be remembered by the massive heat wave that arrived suddenly in August of that year. As it turns out, I was on vacation that summer in Tuscany with my family. I remember going to see vineyards in Montalcino one day and being shocked by the dramatic effects of the heat. Vines are incredibly adaptive plants but, like people, they don’t like sudden change. The intense August heat caused sugars to mount faster than phenolic ripeness could be achieved. In some places, it is obvious the heat caused plants to shut down, blocking ripeness. In other spots, yields were too high for plants to carry their fruit through to full maturity. For more context on 2009 and subsequent vintages, readers might want to revisit this short video I shot upon my return from Montalcino in February. The 2009 Brunellos are some of the most uneven, problematic young wines I have ever tasted. As a group, the 2009s are forward, light in color and built for near-term drinking. Readers will see obvious signs of maturity in wines with advanced color and flavor profiles. In fact, many wines are already alarmingly evolved and mature. The 2009 Brunellos are generally medium in body, with none of the voluptuous texture or raciness of great riper years such as 2007. It is a vintage in which many wines that spent more than the required minimum of two years in barrel are excessively forward. The 2009 Rossos were gorgeous; they captured the early appeal of the vintage. When it comes to Brunello, though, things are quite different. Simply put, 2009 is the most inconsistent and difficult young vintage of Brunello I have tasted in many years. As always, there are a handful of overachieving estates and outstanding wines, but not more than that. This is a vintage that highlights the differences between terroirs and also very clearly separates the top growers from the rest of the pack. The hype that is prevalent in today’s world often results in vintages being lumped into one of two camps; we either have yet another ‘vintage of the century’ or a total disaster. In Montalcino, 2009 is, in aggregate, a below average vintage. I believe the producers’ consortium, the Consorzio del Vino Brunello di Montalcino, made a serious mistake in awarding the 2009 vintage four out of a possible five stars. Although readers find it shocking, the truth is that winemakers rarely taste in the cellars of their colleagues. If and when they do, producers tend to taste only the wines of their friends or those with whom they share philosophical views. There is very little openness in Montalcino. Instead, producers look to the Consorzio for guidance. The Consorzio’s four-star rating gave producers a misplaced sense of confidence about the vintage that was unwarranted. Most of this vintage should have been bottled as Rosso. I can’t imagine there will be much of an interest for the 2009 Brunellos given the quality of the wines. 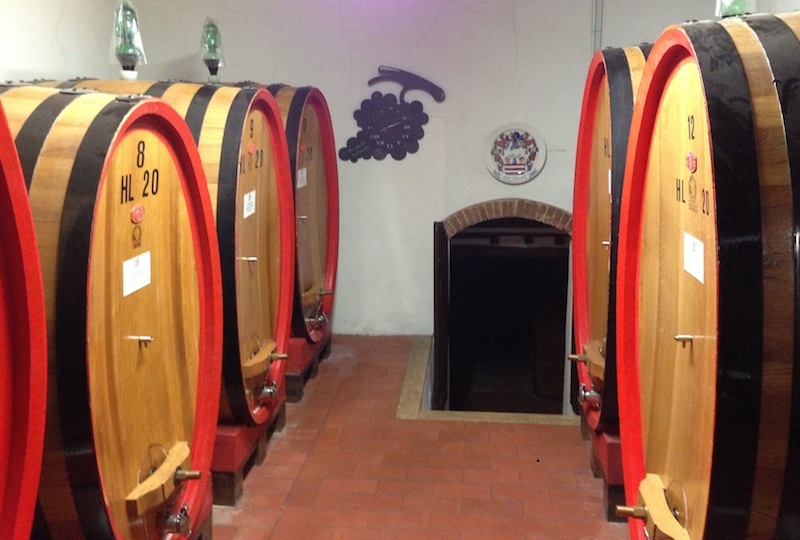 Historically, the market for Brunello is either red-hot or dead in the water. It’s pretty easy to see the direction this vintage is headed in. Hopefully producers will price their 2009s attractively so the wines can flow through the system quickly. If not, the value of the 2009s will go to zero, as so many wines are already mature. It is hardly surprising the 2009 Brunellos are on average quite weak. That much is obvious to anyone who has tasted them. It’s the Why that has kept me awake for so many nights since I first started tasting the 2009s from barrel a few years ago. Why? Why are the Brunellos so inferior to the rest of the wines from Tuscany in 2009? After all, the 2009s from central Tuscany, Chianti Classico in particular, and the Tuscan Coast are generally far more successful than the wines of Montalcino. Yes, Montalcino is a relatively warm microclimate, but so are parts of Chianti Classico and the coast, so it’s more than just that. 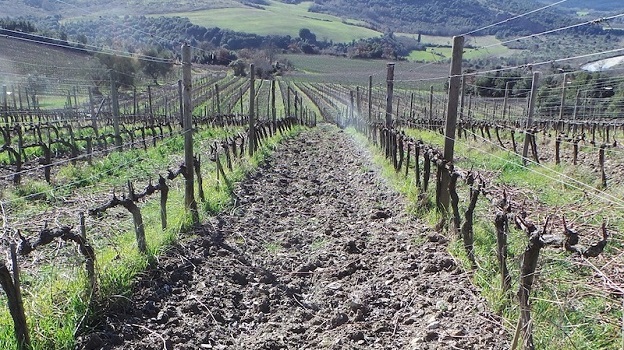 Broadly speaking, vineyards on the northern side of Montalcino do better in hot vintages, while sites on the southern side of the village are often favored in cooler years. Unfortunately, even that generally useful framework breaks down in 2009. The better 2009s aren’t found in any one place, rather they are scattered throughout the region. That brings us to a simple truth about Sangiovese in Montalcino. By now, it is widely known that Sangiovese produces inconsistent results in Montalcino. This is precisely what led to the widespread use of other grapes to ‘improve’ the wines that culminated in the ‘Brunellopoli’ scandal of a few years back. Now that producers know they are going to be subjected to more frequent controls, fines and potential embarrassment if they are found to fudge a little, international grapes are largely gone and Sangiovese has been exposed for what it is in Montalcino: a spotty performer. Modest vintages such as 2009 and 2008 shine a bright light on the shortcomings of Montalcino’s lesser terroirs. Today, there can be little doubt that many of the best Sangioveses in Tuscany come from Chianti Classico and not Montalcino. It doesn’t have to be that way. 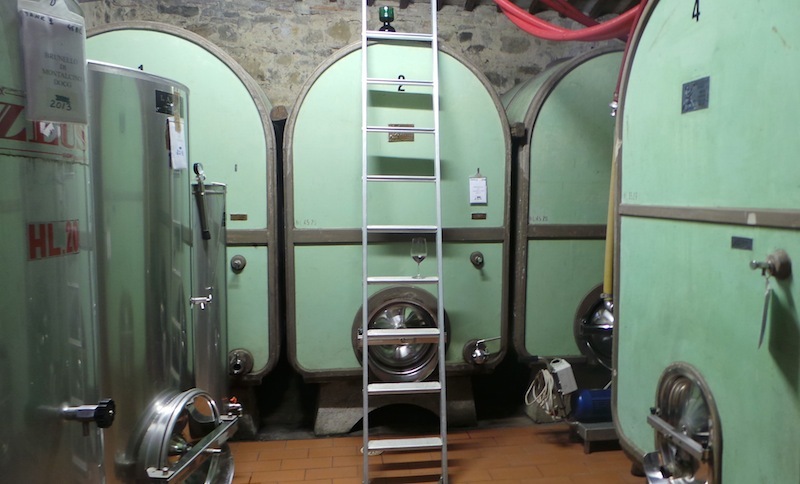 Montalcino’s wineries are now paying the price for years of taking shortcuts. The Consorzio, the most powerful and organized group of its kind in Italy, has done an outstanding job of promoting Brunello di Montalcino through various initiatives, most notably the annual Benvenuto Brunello tasting in Montalcino and several similar tastings in the US and around the world. During the boom of the 1990s, the Brunello di Montalcino DOCG stamp of approval was enough to lift the reputation of virtually any producer. As a result, a number of estates rose with the tide. Along the way, some did not make the necessary investments in viticulture and winemaking. Those estates now find themselves lagging in quality precisely at the same time the market has become much more sophisticated and discerning. The current economic climate in Italy continues to be very challenging, which increases the temptation to cut corners. Over in Chianti Classico, top producers have never had the support of a strong DOCG. Quite the opposite. The appellation’s reputation for producing oceans of undistinguished, cheap wines in straw covered bottles pushed ambitious, quality-minded producers to seek a new path. A much more difficult path. Producers like Sergio Manetti at Montevertine, Paolo DeMarchi at Isole e Olena, Luca Martini di Cigala at San Giusto a Rentennano, Giovanni Manetti at Fontodi and a handful of their peers chose to make their top wines outside the formal appellation system. Along the way, they worked diligently to improve viticulture and winemaking. The success of these wines - I am thinking about Pergole Torte, Cepparello, Percarlo, Flaccianello and others – built the reputations of those estates in a big way. Today, the best Sangioveses from Chianti Classico occupy a totally different level of quality from all but a handful or two of Brunellos. Those estates have established themselves exclusively on the merits of their wines and not on the back of a prestigious appellation. What matters first and foremost is a winery’s reputation for quality, or ‘brand’ as much as I dislike the crass commercial connotation of that term. Like most megatrends in wine, Angelo Gaja spotted this one more than a decade before everyone else. But Gaja wanted to make wines in Barbaresco and Barolo that were decidedly outside the DOCG system, so his departure from those appellations for his top wines made sense. It’s a different story in Montalcino. When Montalcino’s most famous producer and ardent supporter of Sangiovese leaves the appellation it is a sign of serious trouble. Not because Gianfranco Soldera has vowed that all of his new releases will be sold as IGT Toscana Sangiovese, but because there are at least 10-12 high-quality producers who would make the same decision in an instant if they thought they could do so without harming their businesses. It doesn’t help that the powers that be in Italy have elevated wines including Frascati and Greco di Tufo to DOCG status. So, what is the value of DOCG? Nothing. On a more positive note, Brunello lovers have much to look forward to. 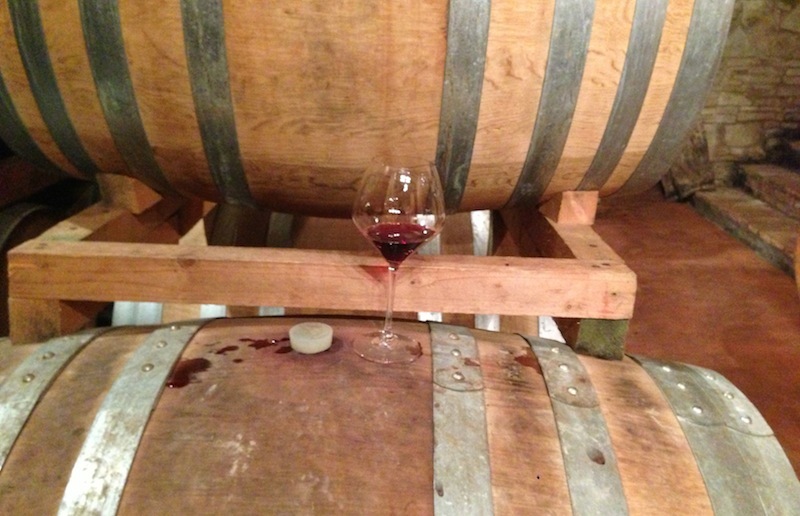 The 2010s are shaping up to be excellent, and perhaps more than that, as long as the wines in bottle capture the magic they have shown in barrel. I remain enthusiastic about the 2012s, wines from a warm, but even year, that are quite promising. The 2013s emerge from a much cooler, longer growing season. I very much like the best of what I have tasted thus far. Today, 2011 looks to be an irregular vintage that combines elements of both 2007 and 2009. My expectations here are a bit more muted. The 2012 Rossos show the gorgeous wines Montalcino is capable of in top years. From a vintage with high dry extracts and unusually high acidities, the best 2012 Rossos are drop-dead gorgeous beauties. As a consumer, these are the Montalcino wines I am buying today. I find little to get excited about with the 2008 Riservas. Given the modest quality of that vintage across the board, most producers would have been better off blending their Riserva (and/or single-vineyard) juice into the straight bottlings. Montalcino, like most of Tuscany, is fairly insular and cut off from easy access to major cities and other regions. I see an alarming lack of intellectual curiosity about the world’s great wines among many of Montalcino’s producers. To be fair, this critique is not limited to growers in Montalcino, but also applies to producers in many other regions throughout Italy. How many winemakers truly love wine? Montalcino also has to find a way to become more open to the world, and that includes building infrastructure and tourist accommodations, such as high-quality hotels and restaurants, that the town currently lacks to an alarming degree. 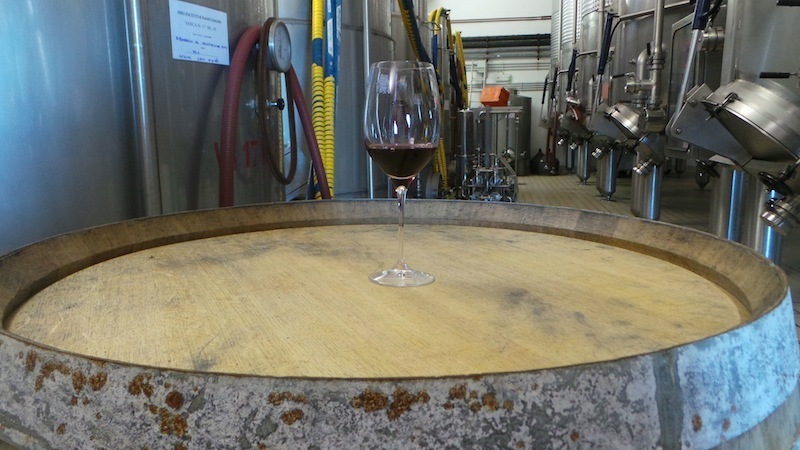 Producers need to pay more attention to viticulture and be more diligent about the use of oak, especially in vintages that can’t support extended aging in barrel. In today’s world regulations that force producers into minimal oak aging regimes are woefully antiquated. Lastly, the Consorzio must engage in serious work to understand which areas in Montalcino can produce world-class Sangiovese. Those areas should be designated Brunello di Montalcino. The rest of the area’s vineyards should be either Rosso di Montalcino or a simple Montalcino appellation that would allow for the use of other grape varieties. The politics involved in establishing such designations are difficult to navigate and fraught with challenges, but I am also pretty sure Montalcino’s producers would prefer to undertake this project themselves rather than wait for someone else from the outside to do the job for them, something that becomes easier by the day considering advances in technology. Lest readers think I am being too harsh, let me assure you that these observations about Montalcino – these self-evident truths – will come as no surprise to anyone who knows Montalcino and its wines and, perhaps most importantly, has the courage to speak up. Montalcino can produce great wines. I have been fortunate to drink many of them, including numerous older vintages from Biondi Santi, Il Poggione, Col d’Orcia and others that were made with none of the technology or knowledge that exists today. Those wines remain testaments to the exceptional quality Montalcino is capable of. At the same time, though, it is impossible to ignore that Montalcino has fallen behind the pace with respect to global peers. It’s time for Montalcino’s growers to make a serious commitment to quality and step it up.